In March, 2001, I was the guest editor of an issue of Storytelling Magazine, the bi-monthly publication of the National Storytelling Network (NSN), at the time America's largest storytelling association. I called it "The Men's Issue." My call for submissions went to the men of the storytelling revival movement. I asked each to send me a true story, about something that had happened to him, that could only have happened to a man, and that showed who men are. I received 75 submissions and culled 11 for the issue, which was mailed to the NSN's then-3,500 members. There was a 500-copy print overrun. Those 500 copies sold out in 8 weeks. The NSN had to print another 1,000 copies to keep up with continuing demand. And who was ordering these extra copies? Who wanted to know who men are? One women called to say she couldn't put the issue down, her heart was beating so. Another called to say she had to put the issue down after each story, her heart was beating so. A mother of two called to order ten copies: four for her nephews, three for her brothers, two for her sons, and one … for her lover. As The Men’s Issue was coming together, I knew that if women embraced it, I would expand the issue into a book. 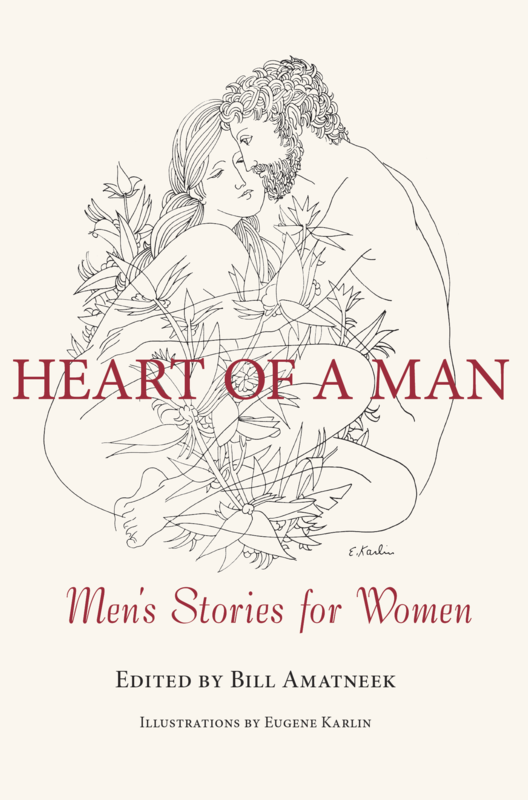 Heart of a Man is that book. It is dedicated to all women who want to better understand who men are, and will be published in 2017. The book's call for submissions ended on November 1, 2014, and netted some 400 contributions from around the world. The collection will include some of those submissions, some of the stories from "The Men's Issue" of Storytelling Magazine, and tentatively other stories by John Updike, Philip Roth, Michael Chabon, John Crawford, Tim O'Brien, Julius Lester, and others. But more stories were needed. So a second call for submissions was published on November 1, 2016. "A man is ... "
This call for quotes concluded on October 1, 2015.
opening their hearts to women.